Voting on I’m a Celebrity Get Me Out of Here will change in 2016, with TEN using Twitter votes for Challenges but phone voting to Save celebrities. It follows concerns that Twitter voting may favour international participants who have global followers versus local celebrities looking to lift their profile. Last year Freddie Flintoff (who currently has 1.8m followers) won the TEN series over Chrissy Swan (who currently has 43,000 followers). This year there are rumours Shane Warne is going into the jungle with 2.5m followers whilst other rumoured guests pale in comparison: Anthony Callea (25.9k), Laurina Fleure (5.5k), Rhonda Burchmore (4.7k), Val Lehman (517) -none has been confirmed. TEN Chief Programming Officer Beverley McGarvey told TV Tonight Flintoff’s win was legit with local voting, and voting was audited by an external party. “Freddie didn’t win on the Twitter vote. He won on the SMS vote. Australia voted for Freddie by paying with their phones. We had to look into it because it was something we were really concerned about. People who vote on shows tend to be quite engaged. The SMS vote was the thing that won the show because of the volume. It tends to be the more casual voter, having a bit of a laugh, who votes on Twitter,” she said. “Even if there was no Twitter vote Freddie would have won, which is fascinating that (Australia) voted for a British cricketer to win. 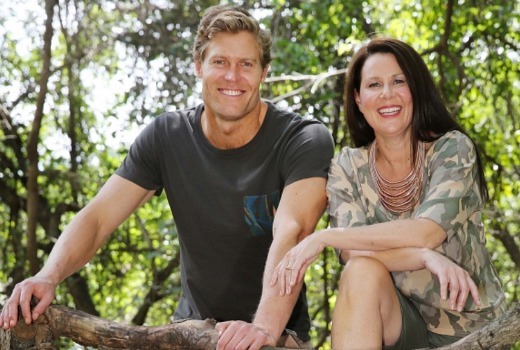 TEN has again attracted huge speculation about its 2016 cast and says the mix of eclectic personalities should ensure more drama taking place within the camp itself. “They were very well-behaved last year. This year we have cast a more dramatic bunch of people. There are lots of delightful people, but also people that will find themselves with people they would not normally be in a situation with. So that will give us ‘natural’ drama. We don’t want to create drama that is not authentic but increasing the level of challenges will lead to a more rigorous experience and authentic drama,” she says. And McGarvey hints that not all of the 12 celebrities may be entering the camp on Sunday night. I’m a Celebrity Get Me Out of Here! premieres 6:30pm Sunday on TEN. Ten really do a brilliant job in the lead up to this show. Keeping the identity of the celebrities secret is no easy feat, but they manage it. Last year, many were adamant about the talent, but few were correct. It’s popcorn worthy watching apparent media ‘experts’ speculating eg badgering celebrities on Twitter, trying to get them to admit to their involvement. I thought that Warne would be in Sydney commentating T20 match between Aus v India. Hope that Mitchell Johnson joins in the jungle soon! Presumably TEN will make some more money this way? Lets have Deni Hines in next year. Can we vote out the scripted,stilted, sexist Julia Morris? Let’s hope all her material this series isn’t based upon her sexually objectifying Chris Brown. Vote out Julia Morris? I actually didn’t like her until this show. I love her and Chris together on it. As for voting looks like I won’t be doing it this year. Last year was so good with free facebook and twitter voting. No way I’m doing SMS voting.